Like most of you..it’s been a crazy busy summer! In the Pacific Northwest, we had an incredible stretch of beautiful weather, which tend to keep me outdoors a lot. 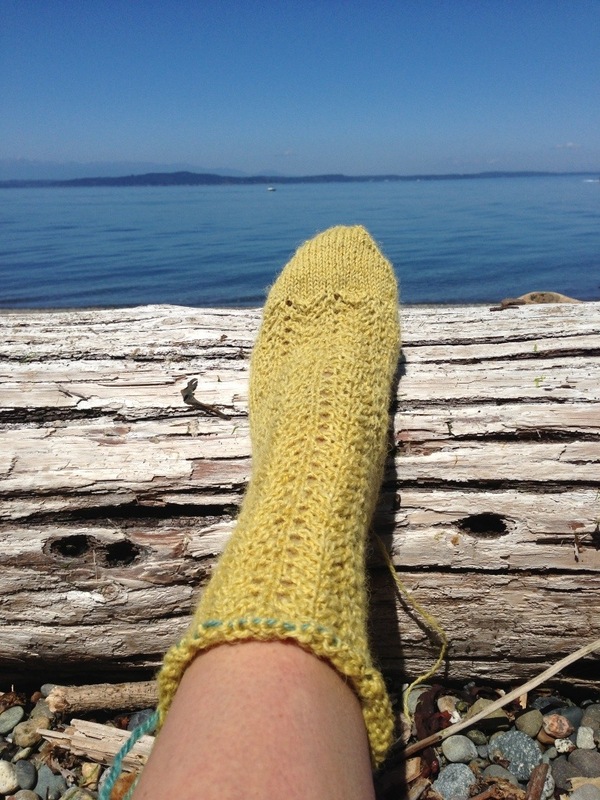 And..the salmon are running now, so I get beach knitting time while hubs gets tries to get dinner. Rows have 25 stitches, so each row starts and ends with 2 plain knit stitches with 21 pattern stitches. Cast on 8 with figure 8 cast on a size 1 circular needle. Resume knitting in the round, complete 2 full pattern repeats before starting pattern in back. This entry was posted in Dyeing, Fleece Processing, knitting, Spinning and tagged handknit, handspun, handspun socks, knitting, Spinning by Leah. Bookmark the permalink. I love those socks!! 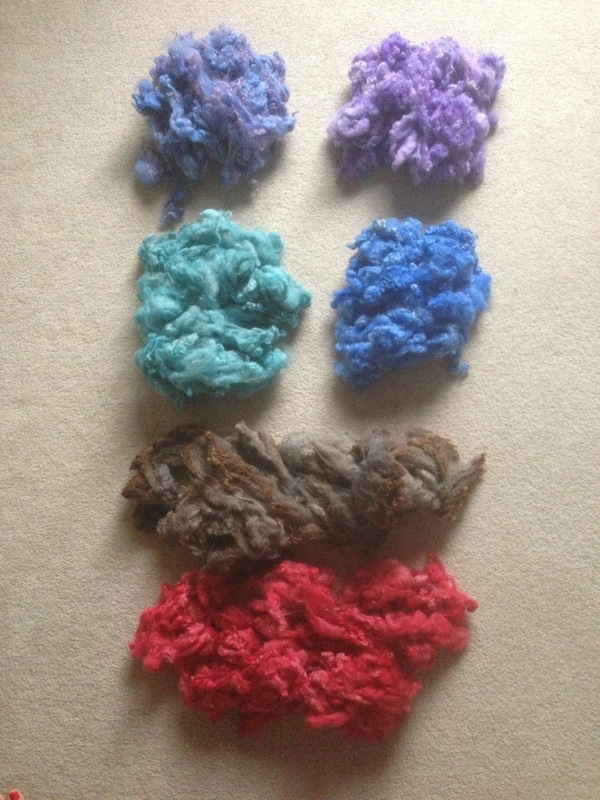 Love the colors you dyed up too! Ooo those blue colours are just up my street. Loving the socks too. I must make a pair soon as have never managed it yet. Thanks!! And yes, tackle socks..they are fun! 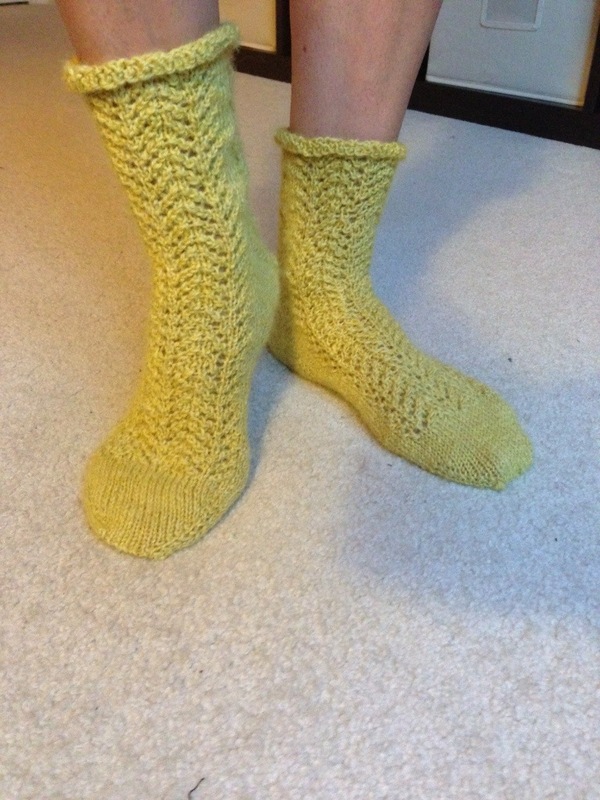 I started with a thick pair made from worsted yarn…great way to get the hang of the tricky spots without being overwhelmed.